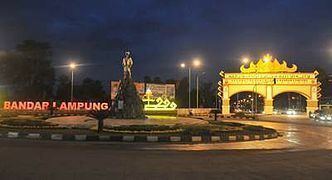 Bandar Lampung (Lampung City in Malay; Indonesian: Kota Lampung) is the capital and a major economic hub in the province of Lampung on the southern tip of Sumatra island, Indonesia. It was called Tanjungkarang-Telukbetung, the names of the two major sections of the city, before being renamed in 1983. For immigrants and travelers from Java, the city of Lampung is the entry point to Sumatra, especially before the construction of the major harbor at Bakauheni, just south of Bandar Lampung. 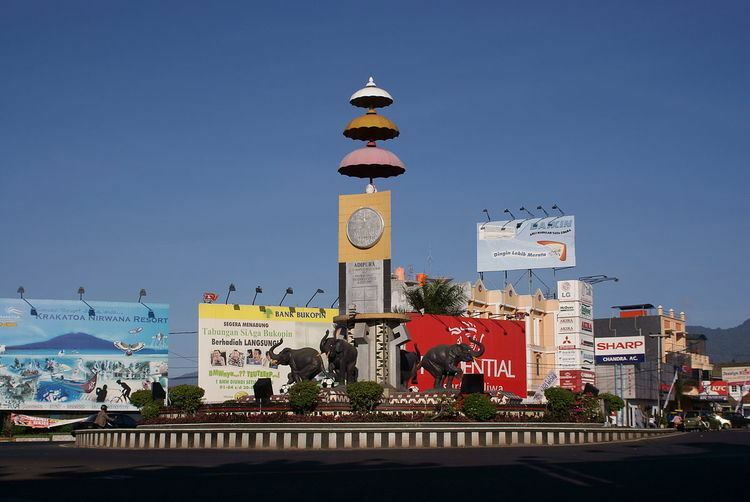 Bandar Lampung is served by the domestic Radin Inten II Airport, with flights to Jakarta located northwest of the city. 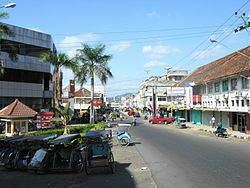 The city and South Lampung Regency (which borders the city on its northern and eastern sides) are major transmigrasi recipients for those seeking respite from the crushing population densities and traffic nightmare of Jakarta, yet able to take advantage of proximity. As such, its population composition is far more cosmopolitan for a provincial capital of its size. The city's area is about 118.5 km², with a population of 881,801 at the 2010 Census; the latest estimate (for 2014) is 1,251,642. In 2009, Bandar Lampung has a literacy rate of 94.3%, slightly increased from 2005 which was 93.5%. However, the high school participation rate kept decreasing from 69.2% (2007) down to 61.4% (2009). On the other hand, high school participation rate in Indonesia was raising from 54.6% (2007) to 55.8% (2010).